Brands that want to be leaders in the industry of the future must find their innovative edge. We believe innovation will define the future of the food industry. Our second-annual summit provides a unique opportunity to bring together the industry leaders, disruptive startups, leading researchers, and brands, to connect, share, and find their EDGE. Packed with two days of keynotes, innovation workshops, and fireside chats, and nearly 400 attendees, we'll explore the trends, strategies and capabilities that will transform food as we know it. For more information about the conference, please visit www.foodedge.co. Community Table is for eaters, entrepreneurs, and students of food to connect and exchange ideas. A model created by Babson's Food Sol, the design is always one table and one conversation, with the collective driving the content. People have reported finding partners, expanding networks, and reaching retail all as direct results of attending Community Table. We hope you'll join the conversation to network, discuss, connect and learn from others doing awesome work in the city! Feel free to bring your business cards, your lunch, and/or food to share with the group! Community Table is all about FOOD so we encourage attendees to bring samples of their products and consider this event an opportunity to showcase your newest recipes and flavors. This 1-hour info session will provide you with the basics and best practices for selling your food products on Amazon. Heather is an accomplished marketer, consultant, published author, and Branchfood member! She actively sells her kitchen products on Amazon and has done so for the last two years. Her products were named “hot new releases” and were immediately profitable. She is also an accomplished marketing executive and author of the award-winning book Mind to Mouth: A Busy Chick’s Guide to Mindful Mealtimes. Heather has over 20 years of experience working with brands including Coors, Dunkin’ Donuts, Integrative Nutrition, PayPal and YP.com helping them navigate changing consumer mindsets and purchasing behavior. Heather has a BA with high honors from University of Michigan and MBA from Northwestern University. She lives in Boston with her husband and son where she plays tennis and enjoys cooking crave-worthy meals. Connect with her at www.heather-sears.com. In 2017, sales of medical and recreational cannabis in the U.S. were nearly nine times higher than Oreo cookies. The Cannabis industry is on track to add as many as 340,000 full-time jobs by 2022. In 2018, the marijuana industry created an estimated $28B-$34B in economic impact. Total demand for marijuana in the U.S., including the black market, is around $52.5 billion. At Branchfood we've seen plenty of new products making their way into the home. Cannabis is quickly advancing in both medicinal and leisure markets and some experts predict cannabis will develop into a craft industry similar to microbreweries and craft distilleries. Many options for infused food, drink, and personal care products made with cannabis derivatives like CBD and hemp are just the beginning. With so much innovation underway, 2019 will surely be the biggest year yet for industry development and maturation. In continuation of our ongoing Future of Food panel series, we'll bring together leading industry experts for a discussion and networking event on the future of cannabis to understand the past, present, and future of the industry. Join us for this event and brush up on the latest on this fast-moving sector. Charles Finnie leads corporate strategy, M&A, and investments at MariMed Advisors. MariMed designs, develops, finances, and optimizes the success of licensed medical cannabis cultivation, production, and dispensary facilities through its validated management. MariMed's team has developed or is in the process of developing state-of-the art regulatory-compliant facilities in Delaware, Illinois, Nevada, Maryland, Massachusetts and Rhode Island. MariMed's facilities are models of excellence in horticultural principals, marijuana production, product development, and dispensary operations. In addition, MariMed is on the forefront of precision dosed branded products for the treatment of specific medical symptoms. Prior to his work at MariMed, Mr. Finnie was Managing Director and Senior Research Analyst at Roth Capital Partners, covering consumer health and wellness, specifically focusing on cannabis. He was Wall Street’s only research analyst focused solely on cannabis where he researched every major cannabis company in North America and was involved in launching some of the industry’s biggest players. He has over 25 years’ experience as an analyst and investor in emerging technology and energy companies. Katrina leads all marketing initiatives for Curaleaf. Curaleaf, Inc. is the largest multi-state operator in the fast-growing U.S. cannabis industry. Vertically integrated in 10 states, Curaleaf is rapidly expanding across the U.S. in states wherecannabis is legal. With over 25 dispensaries, Curaleaf operates the largest branded retail network and dispenses its own brand of Curaleaf premium medical cannabis products. Curaleaf medical cannabis is known for quality, safety and innovation, and is available in multiple productformats to meet a variety of consumer needs. Curaleaf is an industry leader in cultivation,processing, product development, and advocacy. Katrina is a seasoned marketing executive with over 20 years of experience working in mid-sized and large consumer packaged goods companies, as well as in startups. Prior to Curaleaf, Ms. Yolen served as Vice President of Marketing at Dancing Deer Baking Co., Director of Marketing at Weetabix North America, and held senior marketing roles at GlaxoSmithKline and Kraft Foods. Patrick is a partner in Foley Hoag's Business Department. Attorneys in Foley Hoag’s cannabis practice have unique insight and experience to assist cannabis and cannabis-related operators and investors with all aspects of their business from corporate formation and transactions, employment matters, intellectual property matters including trademarks, banking and finance issues, FDA and FTC compliance, legislative issues, business and regulatory disputes, and real estate transactions. They have experience obtaining state licenses and local approvals. In addition, they have represented both buyers and sellers of cannabis businesses as well as investors. They also advise clients regarding industrial hemp and CBD products. Patrick maintains a diverse business practice, focused on advising entrepreneurs and emerging growth clients on early-stage business matters, angel and venture financing, commercial transactions and mergers and acquisitions. In addition to emerging growth company clients, Patrick has represented a variety of investors in venture capital transactions. It’s been another record-breaking year for food startups in New England! Our entrepreneurs are mapping the global food supply chain, landing major funding for robot restaurants in partnership with culinary celebrities, leading positive food system change through new food recovery initiatives, creating novel biofilms, and a whole host of others are inspiring massive food industry evolution. Additionally, this past year, Branchfood has extended its support for early-stage food entrepreneurship through Branch Venture Group, our angel network comprised of industry veterans investing in food startups with three investments to date! We anticipate an even more impactful 2019 but want to celebrate the accomplishments of our local food community and all they have achieved this year. Join us in celebration of these companies and more at our holiday gathering on Thursday, December 13th from 7 PM - 10 PM at Clover Food Lab in Boston's Financial District! Branchfood, Clover Food Lab, Brex, and Wolf & Company are teaming up once again to celebrate the awesome work of our fellow food innovators, startups, and entrepreneurs and look forward to celebrating with you too! We'll provide a delicious spread of new menu favorites from Clover, along with beer, wine, cider, and treats from local food startups launching and expanding to Boston. Additionally, you'll get to mix and mingle with food industry professionals, entrepreneurs, investors, and more. Come hungry and ready to party! The global beer industry faces its greatest challenge in 50 years. According to McKinsey & Company, all at once, there is falling consumer demand, increasingly competitive products, heightened requirements by retailers and consumers, and tougher market access. This confluence of challenging developments is not merely creating temporary roadblocks for large beer manufacturers – it marks the beginning of a difficult era for the entire industry. So what does the future of the industry look like? Greater Boston's brewing scene is bubbling! Local companies are disrupting the industry and creating unique experiences, flavors, and combinations that rival the oldest brands. On Wednesday, September 26th, Branchfood is teaming up with Wolf & Company PC and CIC to chat about the business of brewing and understand the past, present, and future of the industry. Join us for a panel of experts from local breweries - large, small, and in between - who will tell us how they got started, where they found funding, and how they brew, market, package, sell, and distribute their product, and where the industry is going. Rob is a Co-Founder and President of Nightshift Brewing and President of the Massachusetts Brewers Guild. From its humble beginnings as a homebrewing operation, to its first home in a small warehouse in Everett, to its more recent life as a massive production and distribution operation with an extremely popular taproom, Night Shift Brewing has come a long way since its founding in 2012 by 3 Bowdin graduates. CraftRoots Brewing is Milford's first brewery! It is also the first 100% woman-owned "brick-and-mortar" brewery in the history of the Commonwealth of Massachusetts. The company is a 7-barrel brewery with taproom, serving eight different beer styles daily. With sustainability at its core, CraftRoots Brewing is grounded in a truly grassroots idea: connect the circle between farmers, maltsters, brewers and beer lovers. CraftRoots opened in 2014 as an LLC and brewed its first batch of beer in 2015. In March 2017, the brewery opened in a warehouse in Milford.From 2016 to 2017, the brewery grew by 1,440 percent, from 20 barrels produced in 2016 to 308 in 2017. In 2017 it was named the fastest growing craft brewery in the USA. Bruce leads marketing efforts for Willie's Superbrew, a craft beverage startup founded by a group of friends and graduates from Brown University. Willie’s Superbrew is creating an entirely new category for the alcoholic beverage industry. Superbrew is a cross between hard cider and spiked seltzer, made with all-natural, real ingredients at the Guild in Pawtucket. Two flavors, sparkling ginger and lemon and the new sparkling pomegranate and acai, combine superfoods in a refreshing drink that’s perfect for summertime sipping. By signing up for this event, you're giving our sponsors permission to contact you about upcoming events and promotions. Refunds not available less than 7 days from start of event. Branchfood and Branch Venture Group invite you to attend our second annual financing for food discussion focused on angel investment for high-growth food startups on Thursday, June 21st 6PM-8PM at 50 Milk Street in Boston's Downtown Crossing. 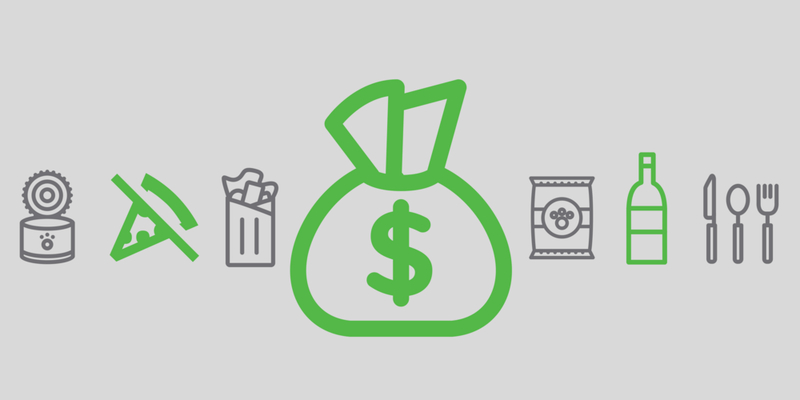 This panel discussion is ideal for aspiring and early-stage entrepreneurs, individuals looking to connect with food investors, and anyone interested in food consumer packaged goods, food tech, and agtech business development, and finance. Register at this link to attend! Additional parking information can be found here. Thank you to our sponsor, Wolf & Company, for supporting food and innovation in Boston! Fresh and packaged food delivered to your home, checkout-free shopping, and auto-replenishment are just a sample of the fast growing grocery innovations seen today. In our 4th and final panel in the Future of Food Series, we will be speaking with New England's leading startup founders, consultants and market CEO's to discuss the latest trends in consumer purchasing, digital retailing, and grocery innovation. David is a serial technology entrepreneur whose passion is to create and build innovative companies that take advantage of emerging market shifts. David is CEO & Founder at Forager, an early stage startup with a mission of making locally sourced food more widely available to all. Cheryl Cronin has been a leader in numerous business and nonprofit organizations, with a particular interest in those that bring others to Boston and the Commonwealth and in the vitality of the city. She is the CEO at Boston Public Market, an indoor, year round marketplace for locally sourced groceries and specialty agricultural products, where residents and visitors can find fresh, seasonal food from Massachusetts and New England. John is a broker of Natural Food products to Supermarkets in New England. As a consultant, he specializes in Sales strategy for Natural, Organic and Specialty products. John also runs full day seminars and networking events on “Becoming a More Effective Sales Manager in the Natural and Specialty Channel" and "Operations and Supply Chain Management". Join us for a two-day summit exploring the future of food. Brands that want to be leaders in the industries of the future must find their innovative edge today. Food Edge, is a first-of-its-kind summit that brings together the food industry’s largest brands, alongside dynamic startups and disruptive leaders, to help you find your brand’s edge. Packed with two days of inspiring speakers, innovation workshops, and fireside chats, we'll explore the trends, strategies and capabilities that can become your edge in the marketplace — everything from sustainable sourcing and recipe innovation to product design, customer experience, and social media. The Future of Food is a 4-part series exploring topics surrounding the Future of Food. The series is jointly hosted by Branchfood and CIC in Boston, Massachusetts. Tickets are available to purchase for individual events or an all-access series pass. Join the Branchfood mailing listto receive updates and learn more about this and future events! Personalized nutrition, higher-quality food, and sustainability practices are in high demand by health-conscious consumers. Boston is the home to some of the most cutting-edge research and startups working towards improving the health of our population. In our 3rd Future of Food Series panel, we will speak with Boston's leading startup founders, researchers, and health gurus to discuss the latest trends in nutrition products, technology, and research. Susan directs the Energy Metabolism Laboratory at the USDA Human Nutrition Research Center on Aging at Tufts University. Her lab's research brings advanced nutrition and behavioral science to interventions aiming to make healthy eating and weight management easier and more successful. She also founded Instinct Health Science, a startup company that is implementing her iDiet weight loss program. Alexis is the CEO (Chief Empowerment Officer) at Lighter, a powerful platform that helps the world eat better. Fox has dedicated her life to fixing our broken food system. She has worked in the movement as an attorney, political leader and entrepreneur. She also spent three years as an adjunct Professor of Leadership at Emerson College. On Thursday, April 26th Brad Lahrman, Vice President of Marketing for LightLife Foods, will host office hours at Branchfood. At LightLife, Brad is responsible for brand vision and strategy, marketing management, P&L management, innovation, new product development, finance and operations. He is happy to meet with companies at any stage to help advise on many topics including marketing and more. Join Branchfood and Spyce for LUNCH! Branchfood is headed over to Spyce - the world’s first restaurant featuring a robotic kitchen that cooks complex meals opening May 2018 at 241 Washington Street. We'd love for members of the Branchfood community (and friends of Branchfood) to join us on this lunch outing! Lunch will be held on Thursday, April 26th from 12 - 2pm. If you'd like to stop by for a free meal, please sign up below and we'll send you a coupon with a QR code. ~Snacks and drinks will be provided and check out our April Community Table beforehand! Repsly is transforming how brands get closer to their customers with our super easy-to-use mobile CRM, so what better way to celebrate our favorite local brands and tech companies than with our legendary Power Hour! Join us on-site in downtown Boston for an evening of networking, food and drink, plus an all-star panel discussion on the power of disruption. You won't want to miss it! 5:00 - Doors Open. Mingle and enjoy free food and drinks. 6:30 - Welcome & Panel Discussion. Hear from our VP of Marketing, Allen Bonde, on why Boston is a hot spot for innovative food, beverage and consumer companies, and learn what it takes to be a disrupter from our expert panel. 7:00 - Networking. Stick around (or come by) to connect with brands and others in the community. Why: Because it'll be amazing! Flavor Clouds, Gelato with zero added sugar, and prickly pear water are just a few examples of the new food products, trends, and businesses that are emerging daily. Though we're seeing innovative consumer packaged goods startups launching around the world, Boston is home to some of the most progressive food product innovations out there. In our 2nd Future of Food Series panel, we will speak with Boston's leading startup founders, investors, and manufacturers to discuss the latest trends in food product innovation, development and marketing. Adam is one of the worlds most respected innovators in the experimental culinary arts. In 2013 he founded Chew, a food innovation lab in Cambridge, MA that redefines what is possible in the world of packaged food by creating game-changing products that are not only delicious but also nutritious and sustainable. Adam's latest venture, the Nursery, is a Food and Beverage incubator designed to build and scale both new Food and beverage products, as well as Food and Beverage Technology. Risa's role at The Boston Beer Company is to oversee all philanthropy across multiple brands including the company’s award-winning initiative, Samuel Adams Brewing the American Dream, a program she helped to create in 2007. The program connects hard-working entrepreneurs in the food, beverage and brewing areas with working capital, coaching and networks they need to start, strengthen and grow their small businesses. Janelle is a writer, editor, and journalism professor in Boston. She is currently a business reporter at the Boston Globe, where she writes about retail, e-commerce, the food industry and consumer culture. She thrives on diving deep into the ideas, people, and businesses that drive Boston’s economy. On Thursday, March 22nd Matt Gregory, former Director of Supply Chain Innovation at Plum Organics, will host office hours at Branchfood. At Plum, Matt led the development and implementation of initiatives that rethought Plum’s end-to-end supply chain, leading to enhanced profitability, defensibility, and consumer experience. He is happy to meet with companies at any stage to help advise on many topics including building out supply chains. Most recently, Matt Gregory spent 5 years at Plum Organics, PBC (acquired by Campbell Soup Company in 2013). His last role with the company was Director of Supply Chain Innovation, where he led the development and implementation of initiatives that rethought Plum's end-to-end supply chain, leading to enhanced profitability, defensibility, and consumer experience. Matt was a leader in the company’s strategic road-mapping of future food processing technologies, looking for developments to unlock more delicious and nutritionally complete food. Prior to his time with the Supply Chain team, Matt held several roles with Plum's product innovation team. The innovation function at Plum is unique in the food industry; in it, Matt oversaw both the front-end product design and back-end technical commercialization/scale-up processes for each product launch. Matt launched 30 baby food items in 6 formats, including several which required the development of new manufacturing partners. Prior to Plum, Matt was the Director of Operations and Supply Chain for Two Degrees Food, a ‘buy one, give one’ food company. Matt was also a founding faculty member of The Culinary Institute of America's Food Business School. There he co-developed and co-taught "Concept to Shelf," a curriculum to help aspiring food entrepreneurs build food products. Matt has a BA in English from Wesleyan University in Middletown, CT. Matt and his wife Lena recently returned to Boston after nearly a decade in San Francisco and NYC. Lena is a writer and artist with her MFA in 3D Animation. The couple expects their first baby in mid-April 2018.